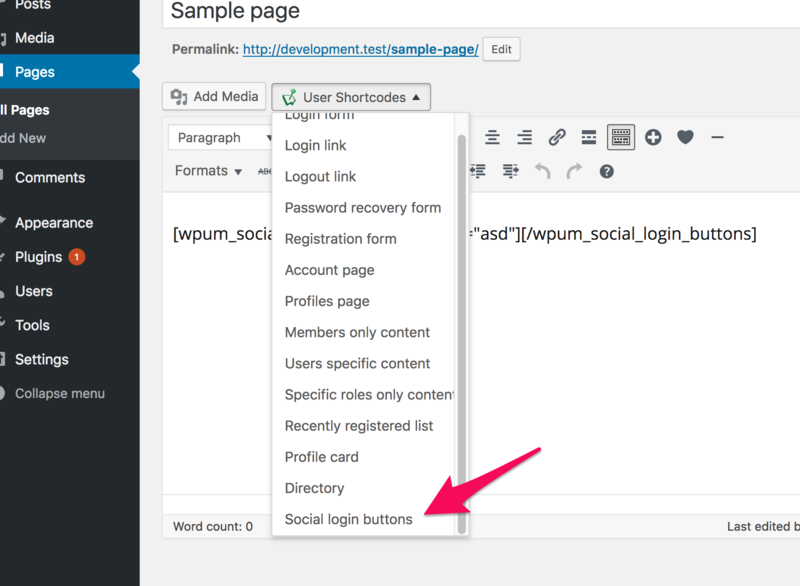 The social login add-on provides and helpful shortcode if you wish to display the buttons anywhere within your site. The shortcodes is available within the WP User Manager shortcodes generator. Alternatively you can manually add the shortcode if you can't access the shortcode generator. The shortcode supports a "redirect" parameter that can be used to specify the url where users will be redirected after login or registration through a social network.